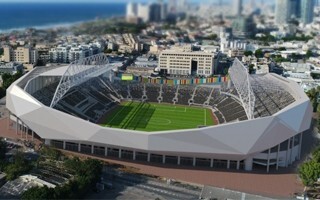 The concept was drawn in one of Israel’s major architectural practices, Mansfield-Kehat Architects. 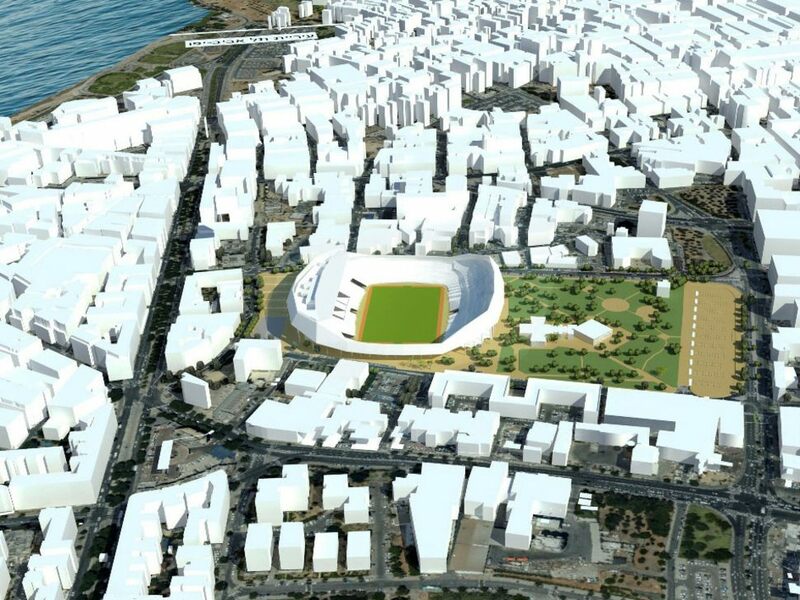 This team was previously responsible for, among other projects, the new Sammy Ofer Stadium in Haifa. 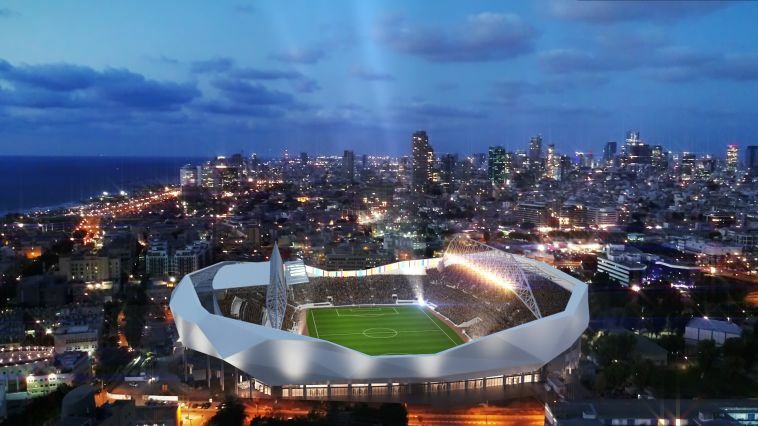 This time in Tel Aviv their work is to salvage most of the current seating bowl, because there’s no room for larger ones behind both goals, limited by streets. 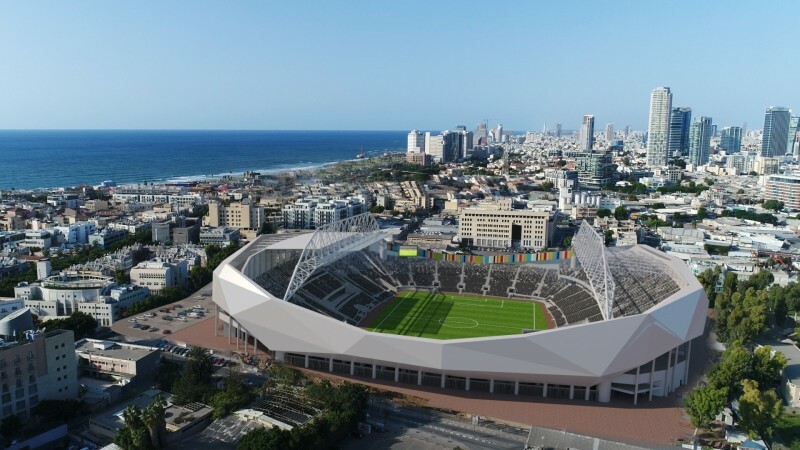 New upper tiers are to be added along both sides, increasing capacity from 14,000 to 24,000 and making the stadium one of Israeli Ligat Ha’al’s largest. 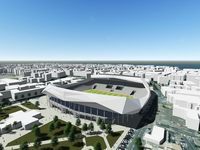 Expanded along with the stands will be the concourses behind east and west side, with improved catering and toilet facilities. 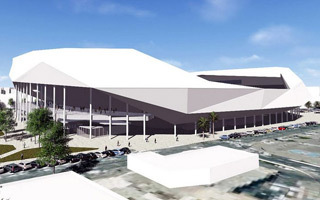 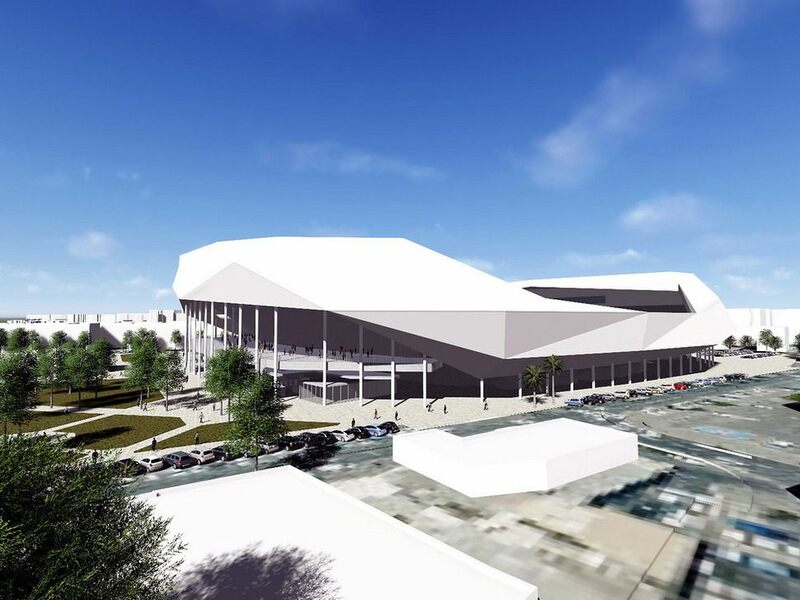 No complete roof is planned, only one over the west side, as has been to date. All of the new structures will be enveloped by a simple yet modern angular wrap. 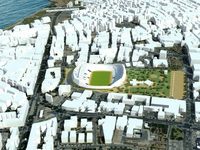 Reconstruction should begin in mid-2017 and finish within a year. 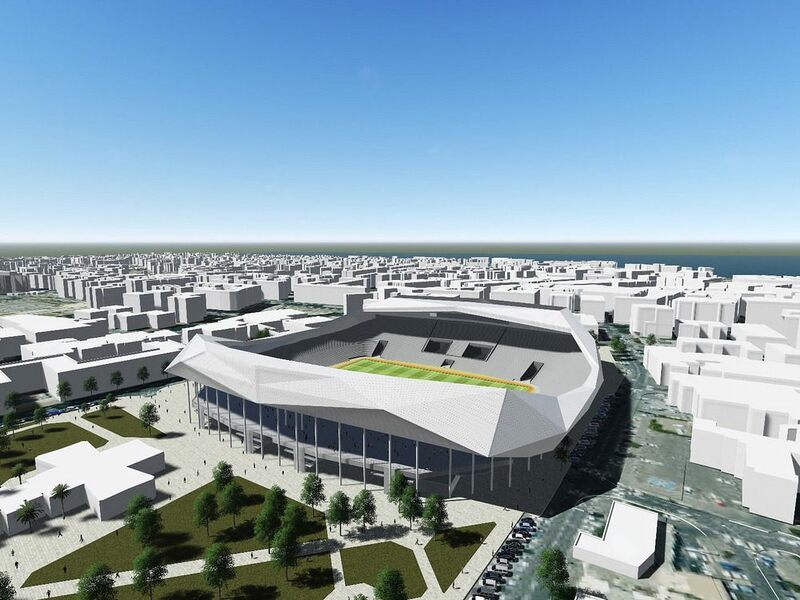 A brand new Bloomfield, worth ILS 275 million ($71 million) should thus be opened for the 2018/19 season.